Burning Man and all its glory zapped us this year and we were unable to get tickets. We were out of the country on the sale date so 4 helpful people in 4 different states tried to get us tickets to no avail. The STEP sale and the OMG sale were big fat zeros too. Reached out to Center Camp Cafe where I had volunteered the last two years and learned that I should have worked five days – five days. That would have made me eligible to earn a ticket this year. I quickly offered to put in that time this year and was rebuked. They had been down that road only to have people flake on their commitment. Dang that makes sense. Stooping to beg for a ticket on Instagram and everyone else who would listen was like a tree falling in the forest with nobody there. We didn’t get tickets but Rita is on her way. She doesn’t need a ticket – just a parking pass and that’s all in order. Meet Fede from the UK. He’s now the proud owner of Rita and we couldn’t be happier. So if you see Rita on the playa – say hi to Fede and take a photo of the gravestones – we left him a blank one to fill in. Oh yeah…. please email us the photo. Birth of a Vision – our new RV from 2015. This entry was posted in Burning Man, USA and tagged Black Rock City, Black Rock Desert, Burning Man, Frida Kahlo, Mexico, Painted RV, Painting, Playa, RV on August 10, 2017 by Bill and Paige. Violà – out with the old and in with the new. 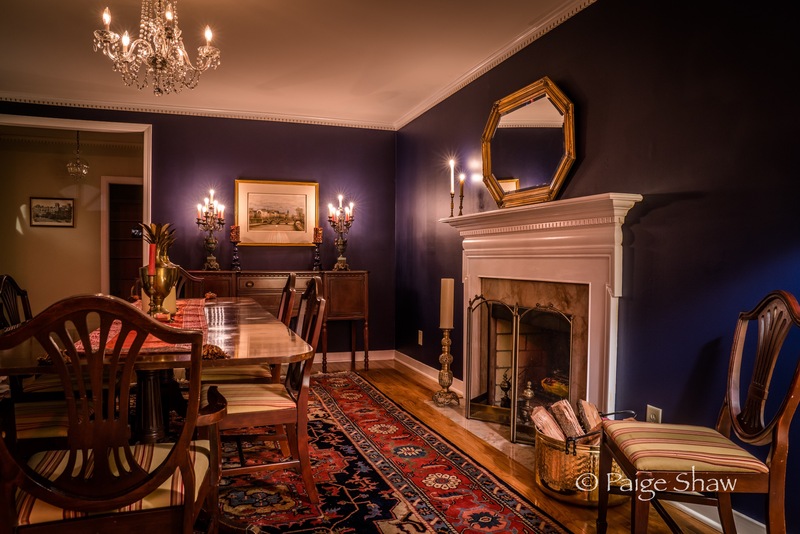 This entry was posted in Photo of the Day 2016, USA and tagged Dining Room, DIY, Makeover, New Paint, Painting, Photo of the Day on December 1, 2016 by Paige Shaw. 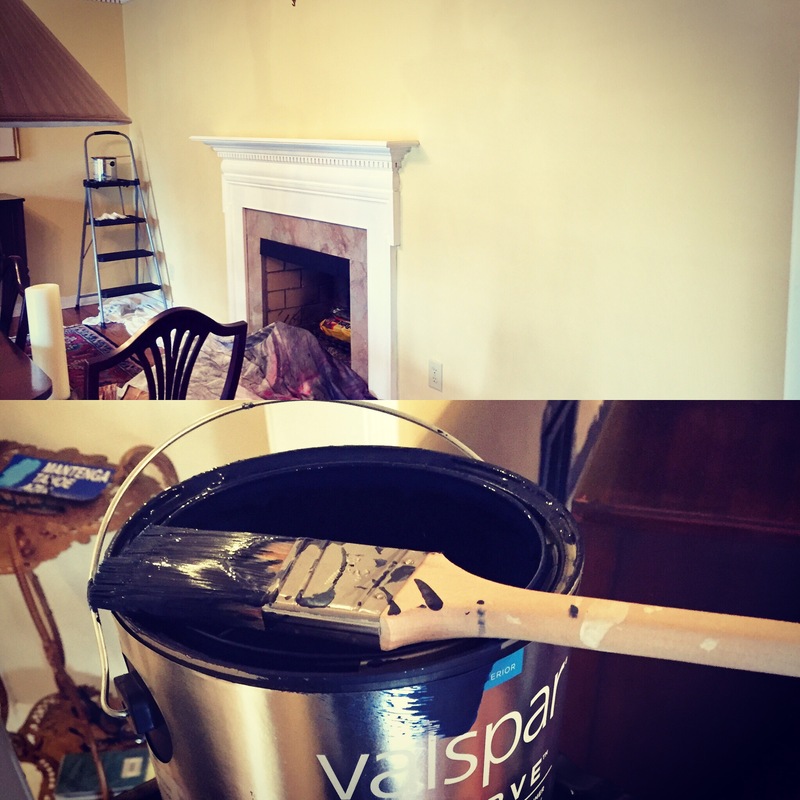 Out with the Seller’s idea of decorating and in with….. wait for it. 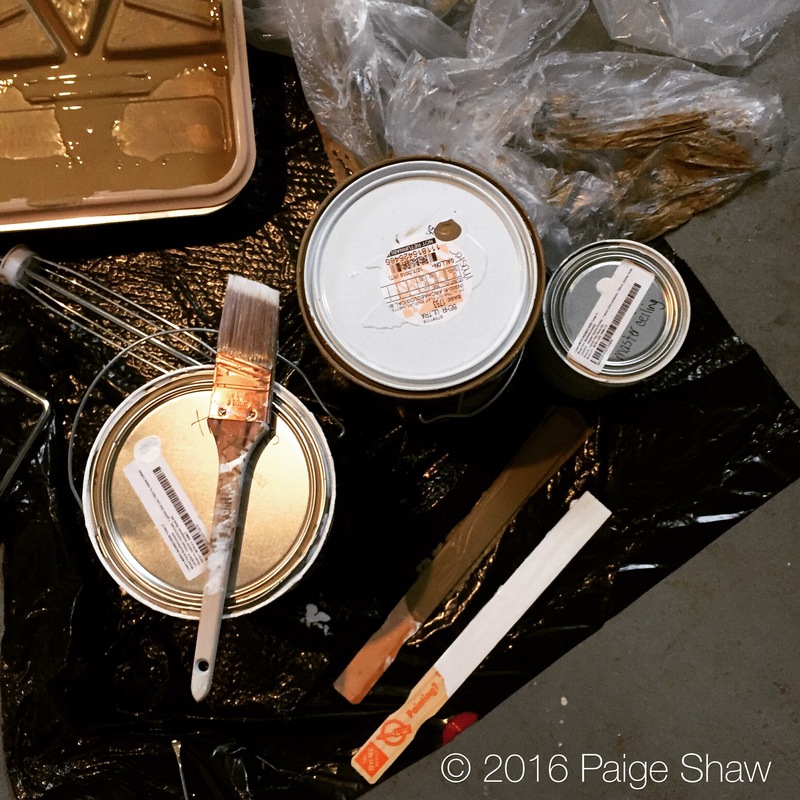 This entry was posted in Photo of the Day 2016, USA and tagged DIY, Painting, Photo of the Day, Photography on November 30, 2016 by Paige Shaw. This entry was posted in Photo of the Day 2016, USA and tagged Charleston, Painting, Photo of the Day, Photography on March 17, 2016 by Paige Shaw. Who knew at our age we could conceive…. We have yet to name her. I was thinking Lizzy – Bill is pleading the 5th. Perhaps you can help? One would think that after conceiving, nurturing and then finally creating life a name would appear – especially after looking into her eyes and seeing our reflection. We sold the Pinnacle of Love after Burning Man 2012. It was time for a new canvas and a newer motorhome. February 2015 brought exactly what we were looking for. A 1996 Pace Arrow Vision – the inside had been well cared for and rocked the perfect floorplan. The oversized refrigerator and sectional couch were luxuries we hadn’t dreamed of – the outside was faded – crying out for some lovin’. Having years to mull over themes and spending many a sleepless night searching the dark recesses of my brain looking for something unique to paint – I always came back to what was comfortable, cozy – images from colorful Mexico – Calaveras, Frida, sombreros and cardones (cactus). Luckily we were able to work inside an enormous old metal building to avoid the intense summer sun. It was Bill’s perfect environment – a sauna! We got to paint and detox at the same time. Our reading glasses continually slipped off our noses and the sweat dripped from our brow. Bill was in heaven. It was the perfect environment to create. As Heywood Broun said: Sweat is the cologne of accomplishment. I sketched for days using the remaining Kilz as my whiteout (perspective is hard to obtain without an eraser). Whilst Bill and our paint angels started bringing this baby to life. We painted from dawn to dusk using an array of semi gloss and high gloss exterior paints. A special shout out to our angels ~ Kate, Darrell, Roxanne, Piper and Boo. Without you we could not have made the deadline. This entry was posted in Random, USA and tagged Art, Burning Man, Day of the Dead, DIY, Hippy, Mexico, Motorhome, Painting, Painting RV, Photography, Remodel, RV, Travel on November 5, 2015 by Bill and Paige. In recent years the desire to have a dedicated “art” area has been intensifying. It started with the notion of buying a large storage shed and plopping it on our parcel – only to find out it would not fit within the mandatory setbacks. Next was a consultation with a contractor to have a little room built off the laundry room. “This roof line doesn’t meet that – the floor elevation doesn’t meet this. We have to change the roofline, dig out a new subfloor”. Dollars were mounting. The heck with that. Penny pincher Paige gave up on the whole thing. Last month we decided the clean out the garage – the walls seemed to be closing in. It was time to give the kids all the childhood clutter we’ve been storing for years (why make them wait until we kick the bucket). We sorted through all the novelties we haven’t looked at in 10 years. Give away this, throw out that, save enough for the kids to reminisce about later on. Divide and conquer. * Our handy dandy handyman took down one of our shelves in a creative way – lowering the middle shelf to create a tabletop and then cutting off the remaining top selves. He installed particle board over the tabletop to allow room for a cantilevered sitting area while notching out room for my legs on the shelf below. Pegboard now hides the torn sheetrock. New paint gave the table and adjoining shelves a crisp clean look – Minwax Polycrylic Gloss protects the work surfaces from chipping and scratching. Walmart curtains hide the storage shelves and create a more finished effect. I painted the floor a checkerboard pattern to pull all the colors in and chose teal green to paint an old barstool and storage boxes to add a little pop. Violà – or Walah for us Americans….. This entry was posted in Random, USA and tagged Art, Art Room, Bebold, Crafting, Do it Yourself, DYI, Inspiration, Lifestyle, Love, Painting, Pegboards, Photography, Remodel, Sewing, Violà, Walah on July 1, 2015 by Bill and Paige. We are now the proud parents of a 34′ Pace Arrow Vision motorhome. Shiny (and I mean shiny) on the inside and fading on the outside – begging for a crazy paint job – our new canvas. This baby is huge – so much taller and a longer than the Pinnacle of Love. A road warrior. The interior is a conundrum of sorts – apparently someones great grandmother had the honor of decorating this beauty – bedroom and bath plastered in gaudy shiny pink and spearmint floral wallpaper, valances and bedding ruffle wrapped – a dream gone bad. Be gone……. old granny bedroom. Behold…. new and vivid. This entry was posted in Random, USA and tagged Canvas, Hippie RV, Make-over, Metamorphosis, Motorhome, Painting, Remodel, RV, Spring on April 5, 2015 by Bill and Paige.